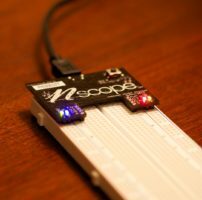 nScope was created in 2010 as a platform to facilitate teaching electronic circuits to engineering students. We felt that a cumbersome lab environment stunted the ability for students to be creative and learn design by iteration. Our goal was to bring the essential parts of a lab out into the world, for the classroom, home, or even coffee shop. 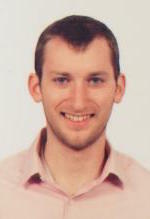 Nick Marchuk is the Mechatronics Lecturer at Northwestern University. 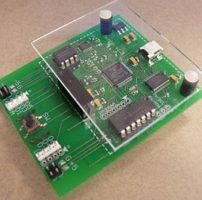 Nick worked with Northwestern professor Michael Peshkin to create the first "lab in a backpack" featuring a custom USB oscilloscope and power supply in 2010. 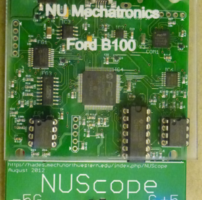 Each year, over 100 students use an nScope to learn circuit design in mechanical and biomedical engineering courses. 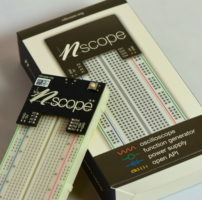 Nick has designed five iterations of the nScope. David Meyer was a graduate researcher of haptic interfaces when he began his teaching assistant role for intro to electronics. He has since graduated and is now involved with Tanvas, a startup working to bring textured haptic feedback to the surface of touchscreens. 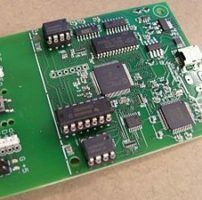 He began work on nScope in 2013 and now leads firmware and software interface design.